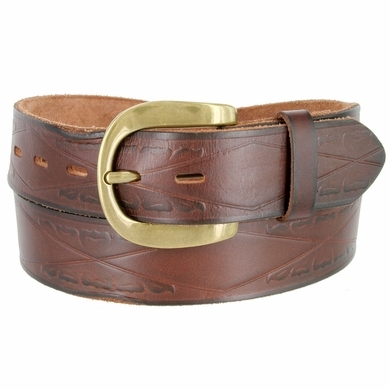 1-1/2 wide full grain leather strap with natural edges. Embellished with a diamond and leaf patterned. Starring a brass finish buckle that won't let you down.